Waiting for you in the much sought after sandpiper area! Newly remodeled 4/3 home offers open concept living and privacy rare in this area. 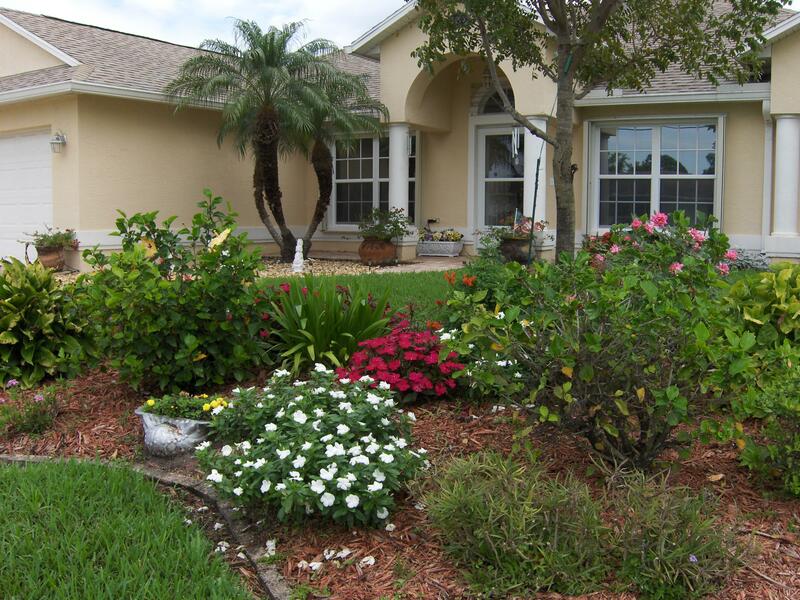 Beautifully landscaped with native florida plants. Backyard overlooks canal and club med golf course preserve offering maximum privacy. Secure fenced area perfect for playground for little ones or for that special pet and also plenty of room for a pool. Master suite includes walk in closet, sitting area, and modern bath with luxurious oversized shower. Second master suite is perfect for in-law. Professionally remodeled kitchen includes white cabinets, granite countertops, large island, coffee bar, and custom built ins. The 2 car garage has its own heat and air system, perfect for a work shop. Don't miss this amazing opportunity to live the dream! Welcome to a very well maintained ocean access property. 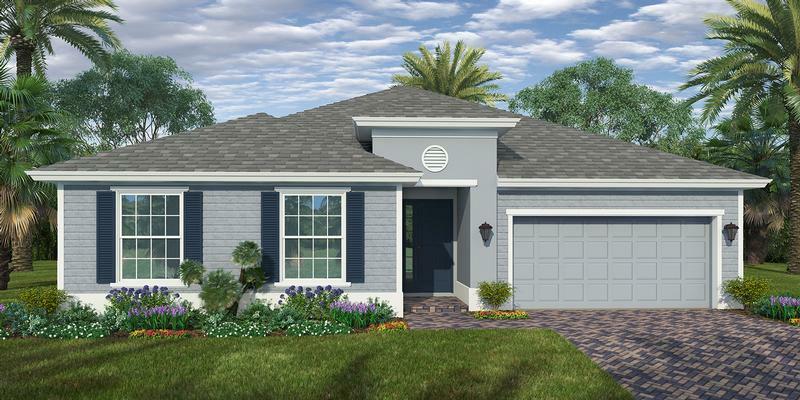 The home features 3bd/3ba with office/den area measuring over 1,700 sqft of living space. 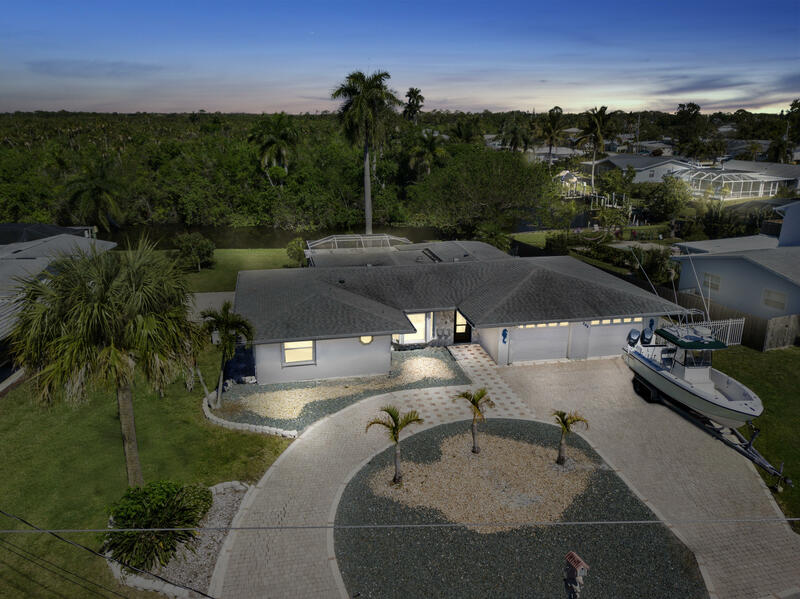 Upgrades include a newer ac system, split floor plan, spacious lanai, full backup generator system w/ 500 gallon propane tank, separate concrete pad for boat/rv and much more! What i love about our home is the quietness of the neighborhood and friendly neighbors. We converted half of the garage into a bonus room and can easily be converted back to a full garage if desired. We added granite countertops a few years ago along with a new roof and a resin privacy fence. We spend most of our time in the screened enclosed pool, which illuminates for swimming at night. There's also a cabana bath, so wet swimmers don't need to enter the house. We planted mango, orange, and lime trees in the yard last year which should bear fruit in the next year or so. This is a gho home! The builder has other house options available for build on your lot. The house presented here is a 3 bedroom 2bath with 2 car garage. Upgrades are already factored in on this price. Standard features include impact windows, 16 seer a/c, paver driveway, walkway and patio, r-40 insulation in attic, tiled living spaces, rounded corners, 9'4'' ceiling to 10'8'' in living area. 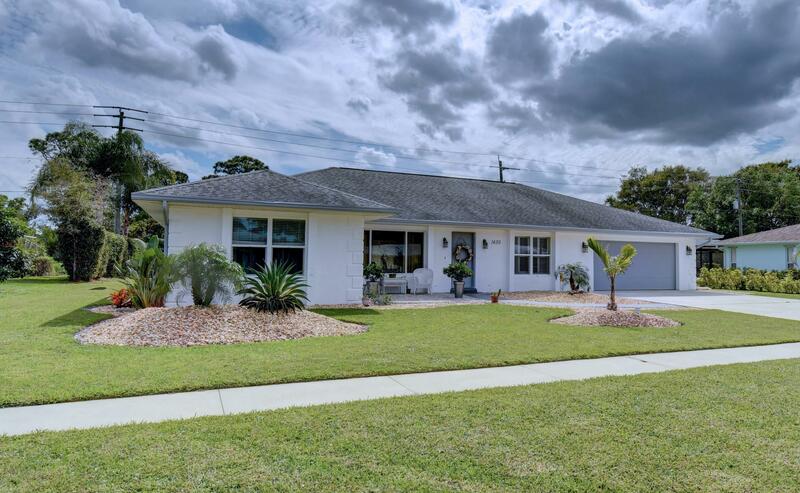 Wonderful opportunity to own in the club med/sandpiper area this recently remodeled 4 bedroom, 2 bathroom, 2 car garage cbs home on almost 1/2 an acre of land. 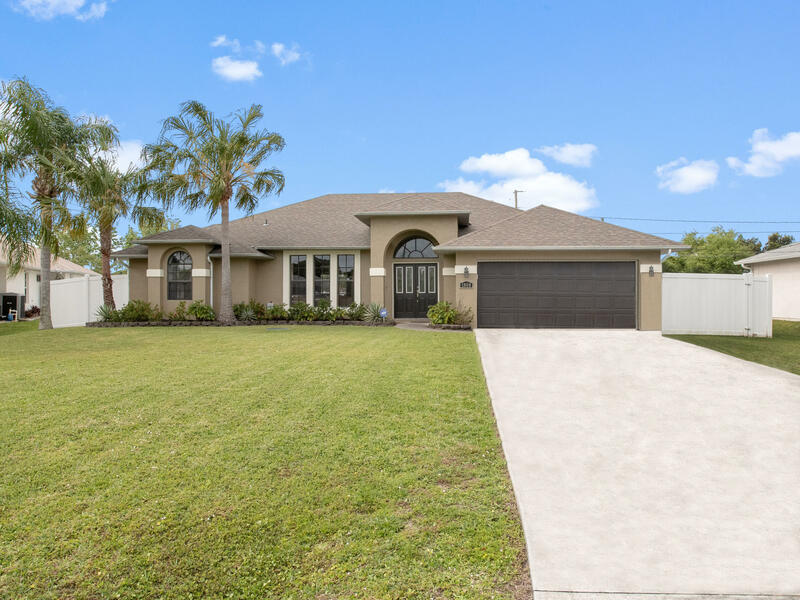 This home features; kitchen granite countertops, newer stainless steel appliances, updated cabinetry, custom bathrooms, wood floors and ceramic tile throughout, newer ac, 2018 shingle roof with transferable warranty, boat pad parking in the rear with electric available, and more too much to list. Close to us1, restaurants, shopping, beaches, and interstate access. Will not last long, inquire today for a private showing. 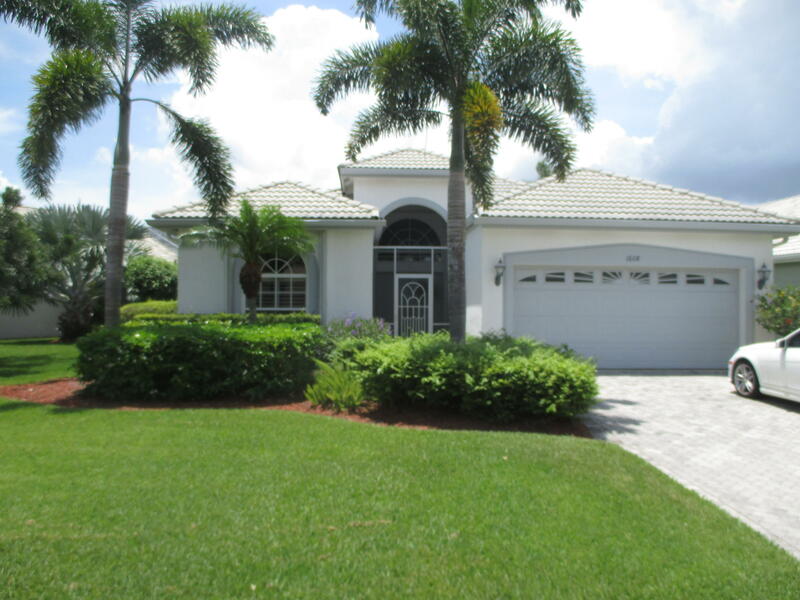 Located at the beautiful santa lucia river club, a gated & guarded golf and yachting community. Club membership is available but not mandatory. 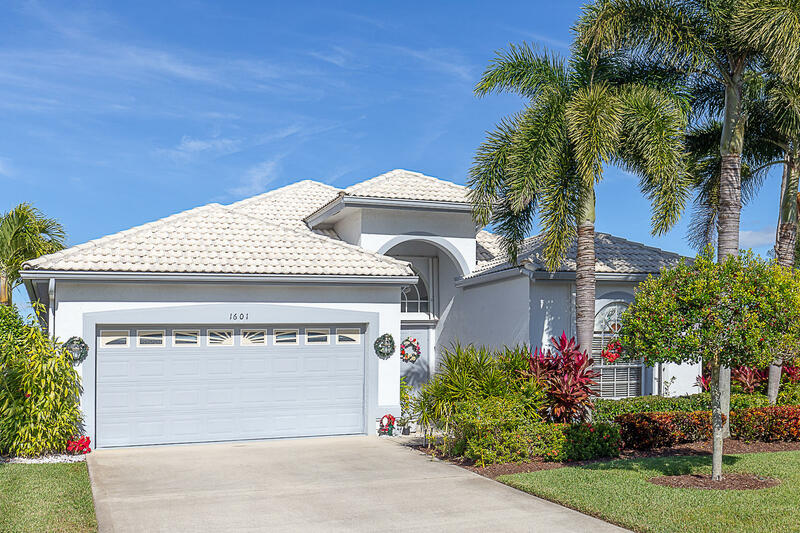 Fabulous lake views from your 16 ft by 40 ft screened lanai with outdoor ceiling fans. The well-maintained home is just packed with upgrades and design features including crown molding, screened entry, a paved driveway, 2 1/2 car extended garage, crown molding, corian counter tops in the kitchen, 18' tile on the diagonalthroughout the house except for the bedrooms which have laminate flooring, an intercom system with radio, , plantation shutters in the front bedroom, screened entry, laundry room, accordion hurricane shutters and so much more. Ceiling fans in all rooms including master bath. 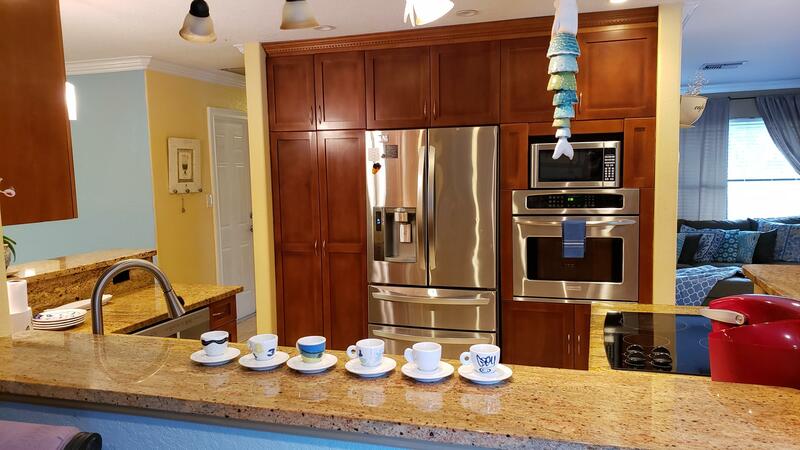 Master bath has dual sinks,10 min to st lucie medical. This custom built home on a corner lot, is a 3/2/2 plus den, with 2,360 square feet under air. It is tiled throughout living area and carpet in bedrooms. The kitchen is an eat-in kitchen, and it has a pass through for pool area entertaining made easy. The family room has french doors that open up to beautiful screened covered patio and pool. Great for entertaining! Property is fenced for privacy. Beautifully landscaped. 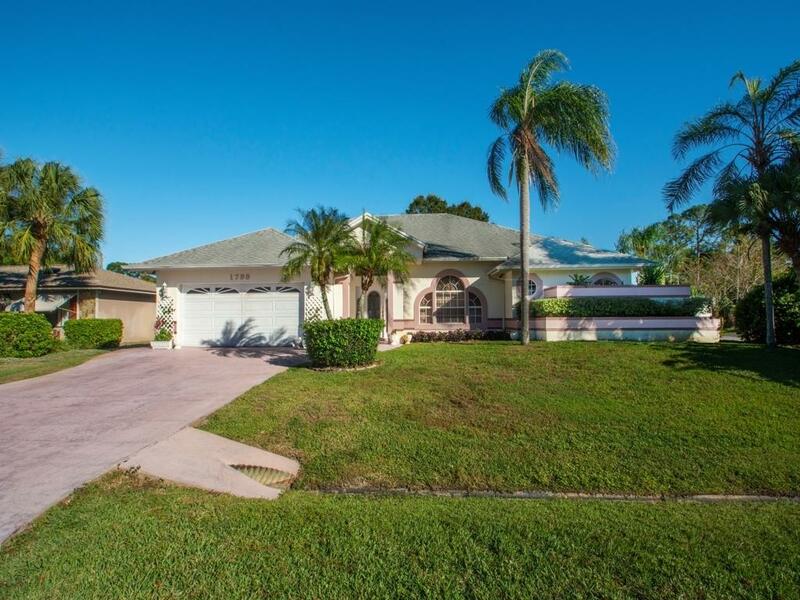 It is a great home for a family with a great floor plan it is very close to jensen beach, fort pierce, shopping, medical facility and schools. Come and see it!